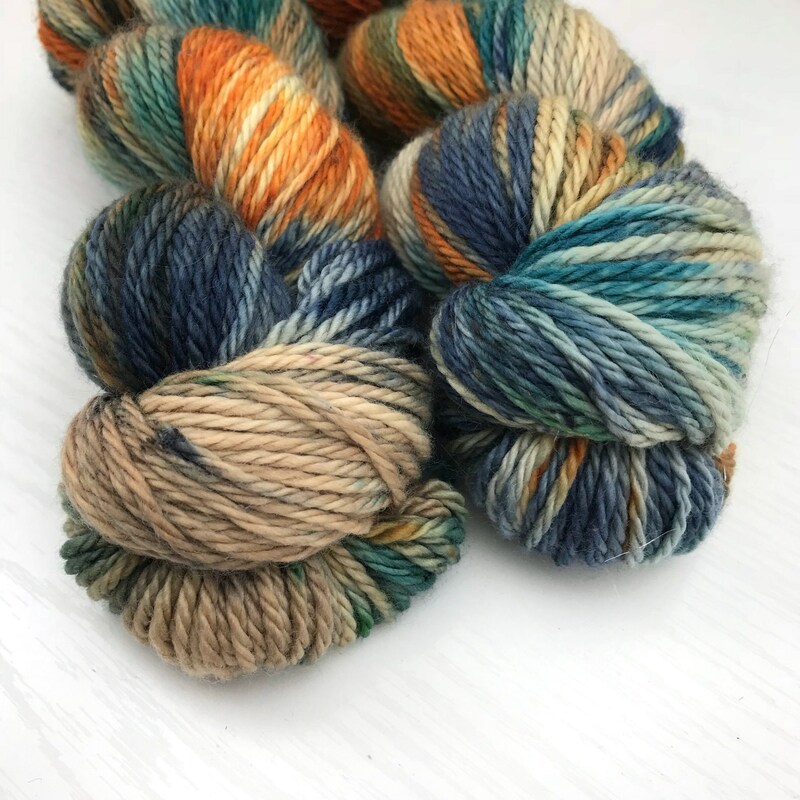 This yarn is ready to ship and will be on its way to your hook or needles in only 1-2 business days! 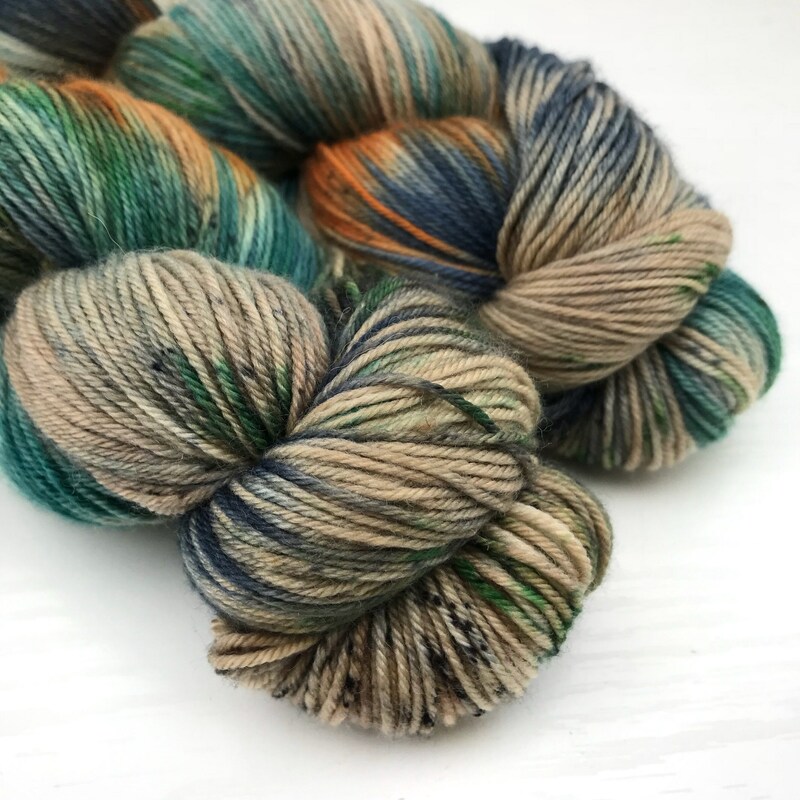 This colorway is currently available dyed on our Teagan Plush Sock yarn. 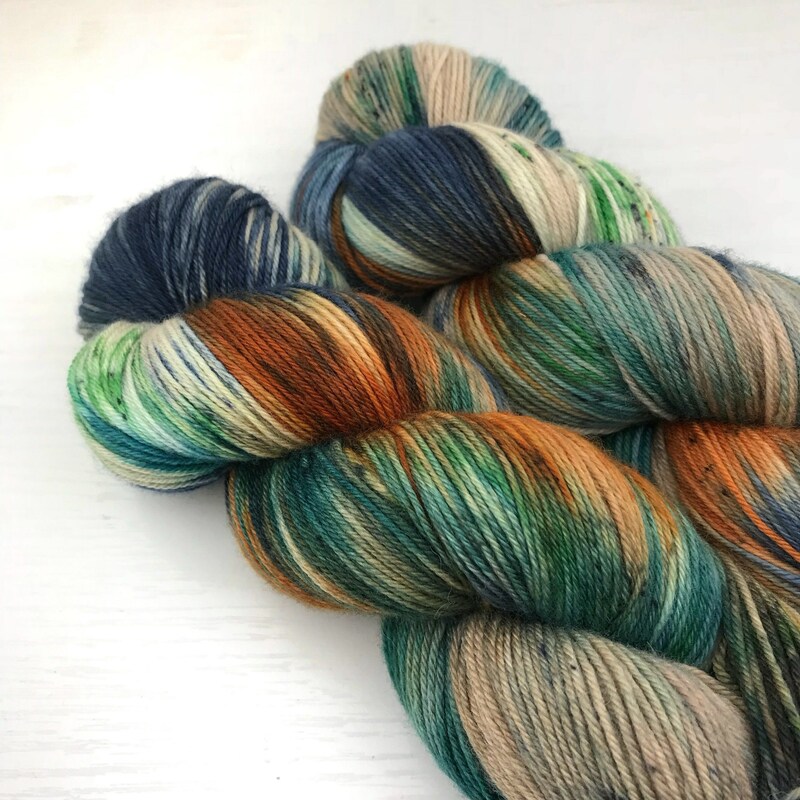 If you would like this colorway in a larger quantity than is available, or on a different base, please message me for a custom listing! 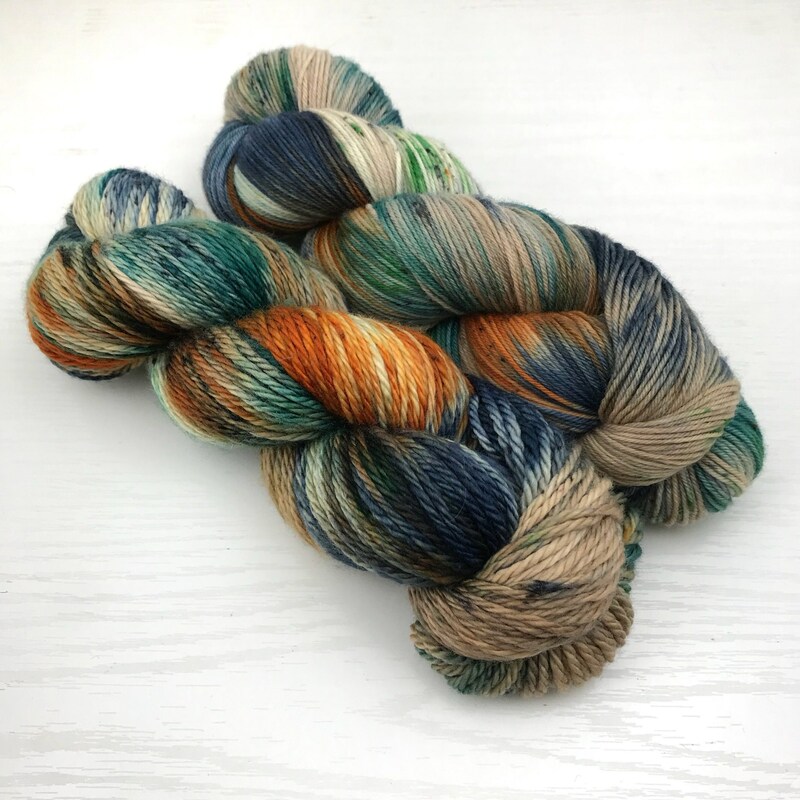 See any of the tonal dyed to order listings for a full list of yarn bases. We source our yarn from humane and sustainable sources that care for the welfare of the animals and do not practice mulesing. I use only non-toxic heavy metal free acid dyes in my process. This dye type ensures that no heavy metals are being added to the ground from waste water in the dyeing process, and is very eco-friendly. The yarn is dyed and stored in a smoke and dog free environment. Although I do have cats, they are kept away from the yarn. I have tried to get the picture colors as accurate as possible on my iPhone screen, but all monitors will show colors slightly differently. Please handwash in cool water, any yarns that are not superwash. 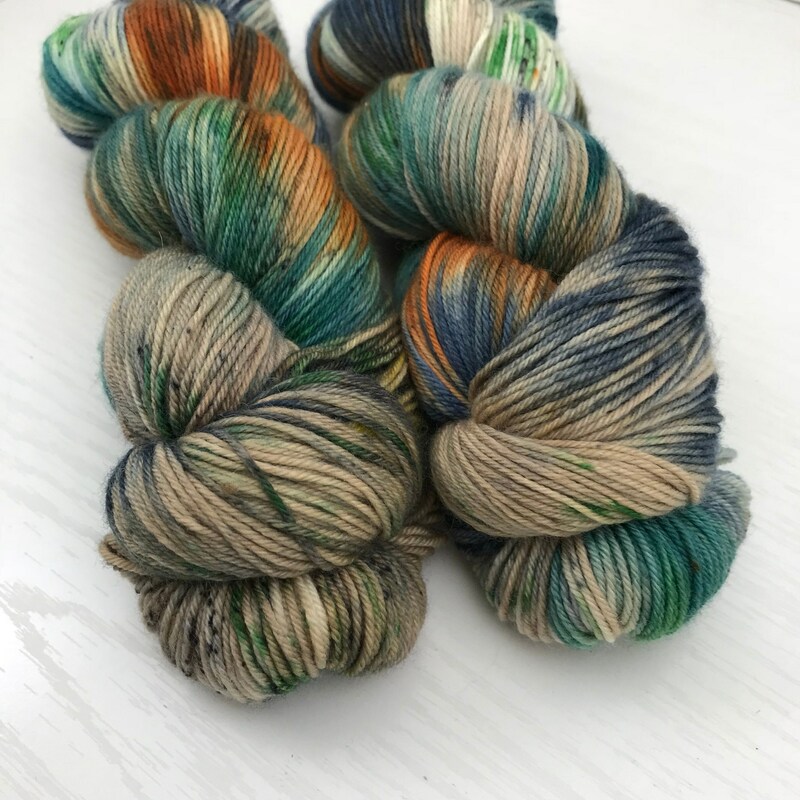 I still recommend hand washing all yarns, even if it is superwash to ensure your finished item lasts for a long time to come! 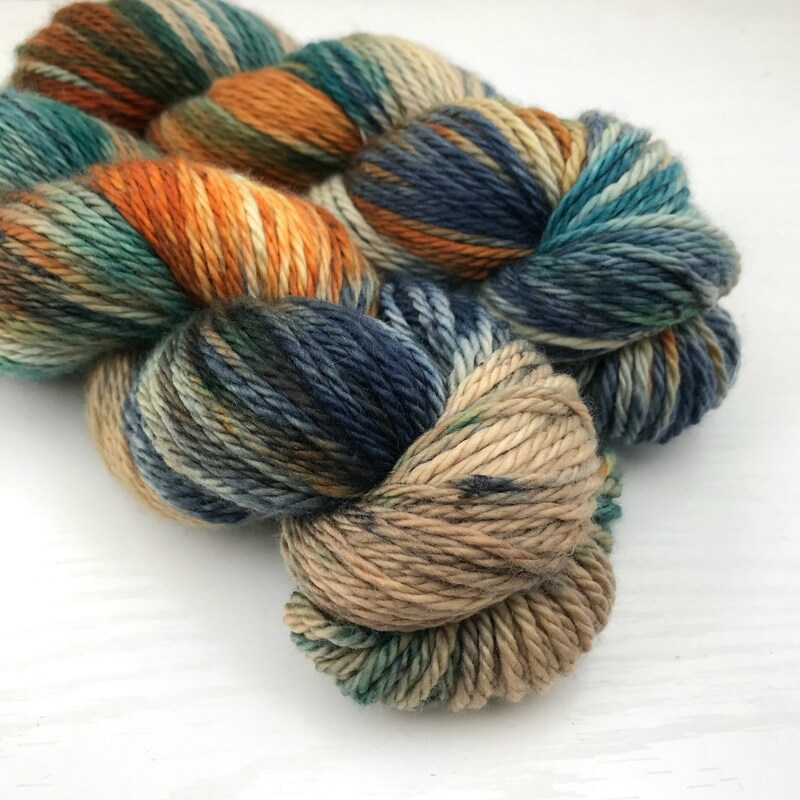 I do carefully wash each skein after dyeing to remove any excess dye, but I still recommend washing separately from other items the first time just to be safe. I would love to dye a custom order for you! If you see any of the colors in my existing listings that you would like combined on any of my existing bases just let me know! 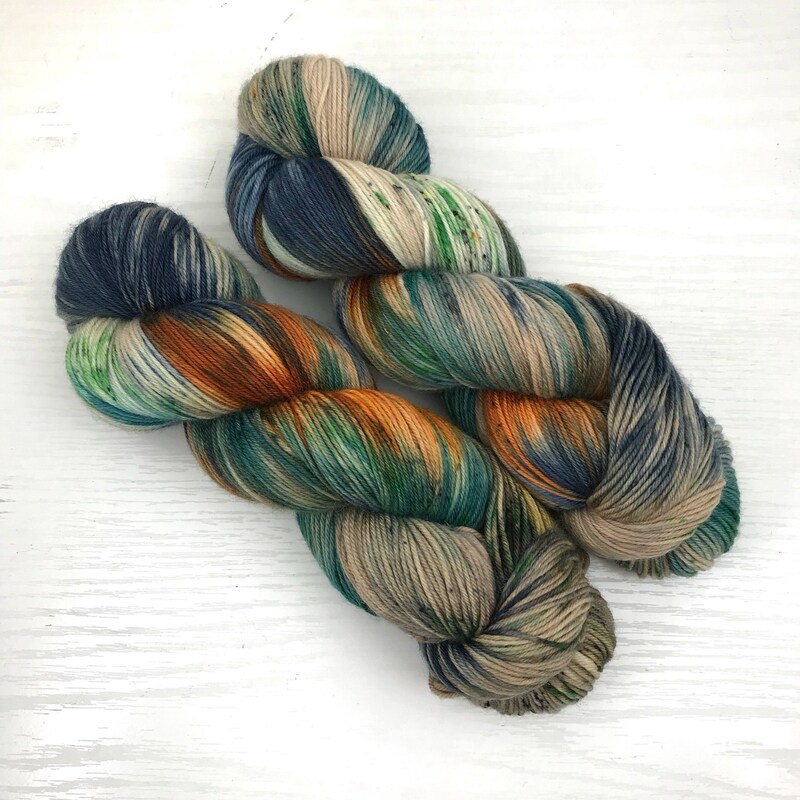 Please specify the colorway you are looking at the color from, the base desired, the dye style desired (variegated, self-striping, gradient, etc), as well as how many skeins are needed. 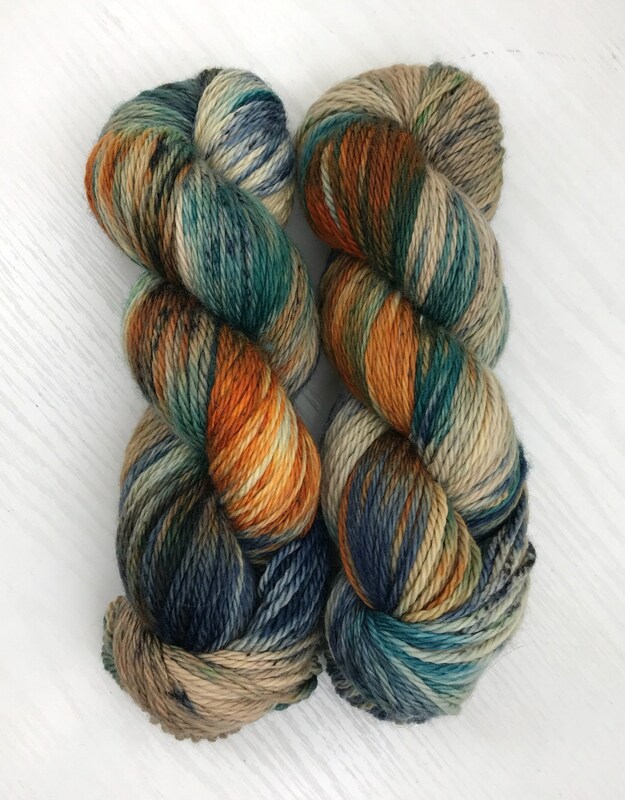 I will dye one skein of the requested custom order and send pictures to confirm it is what is desired before dyeing the full order. 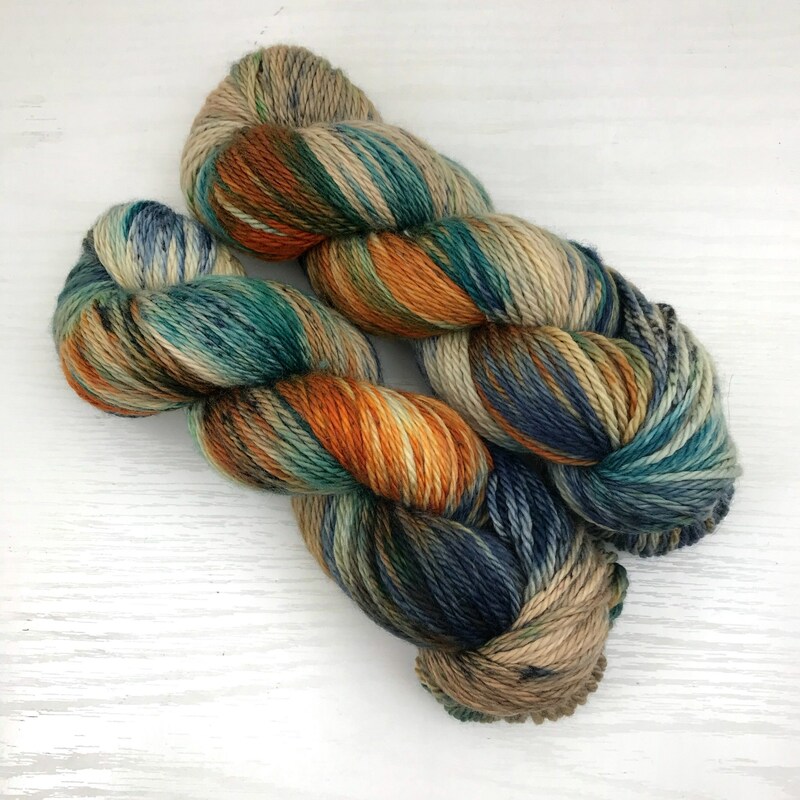 There is a three skein minimum for custom orders, and pricing will depend on what is requested. Wholesale spots are available! Send me a convo for details such as minimum quantities, pricing, and timing. 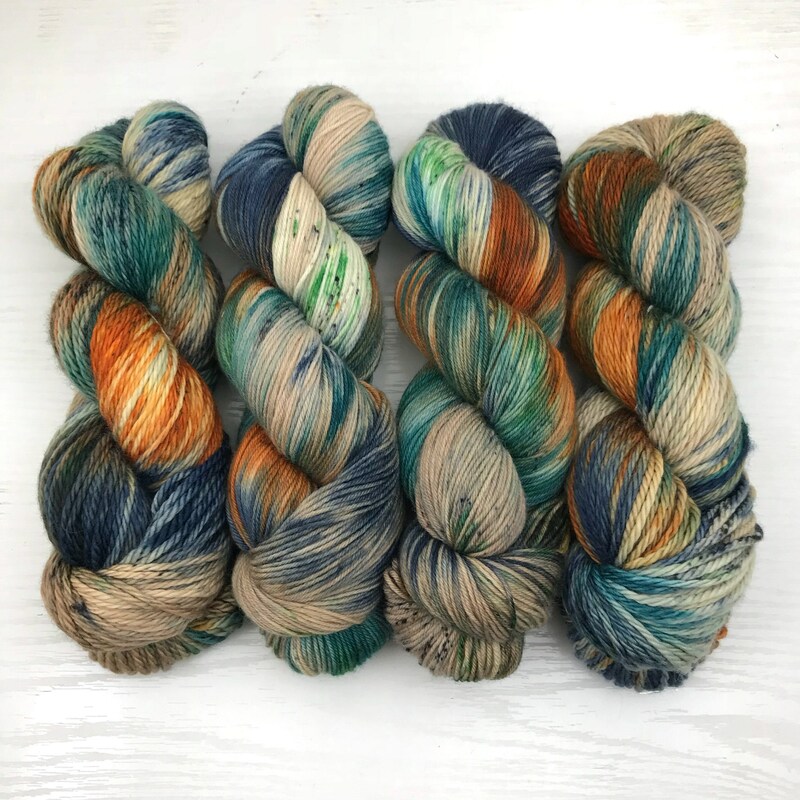 Keep in mind that every single skein is dyed or painted by hand. There will be slight differences, even within the same dye lot.